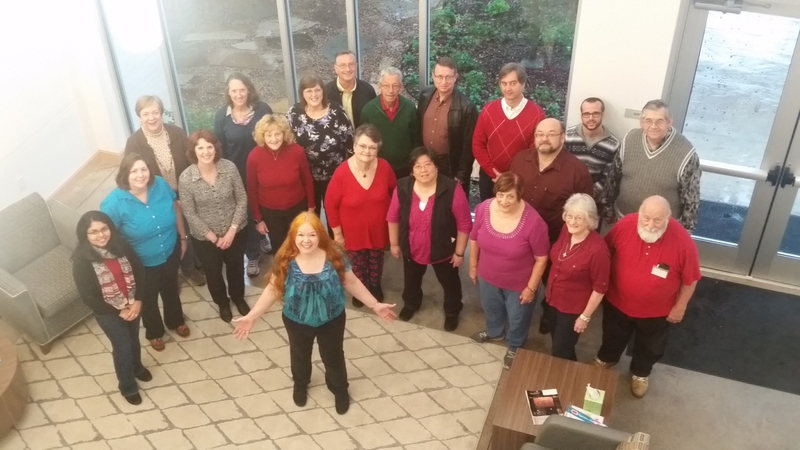 Ellen and Matthew Dittman, mother and son, are privileged to share the good news of Christmas with you through their music. 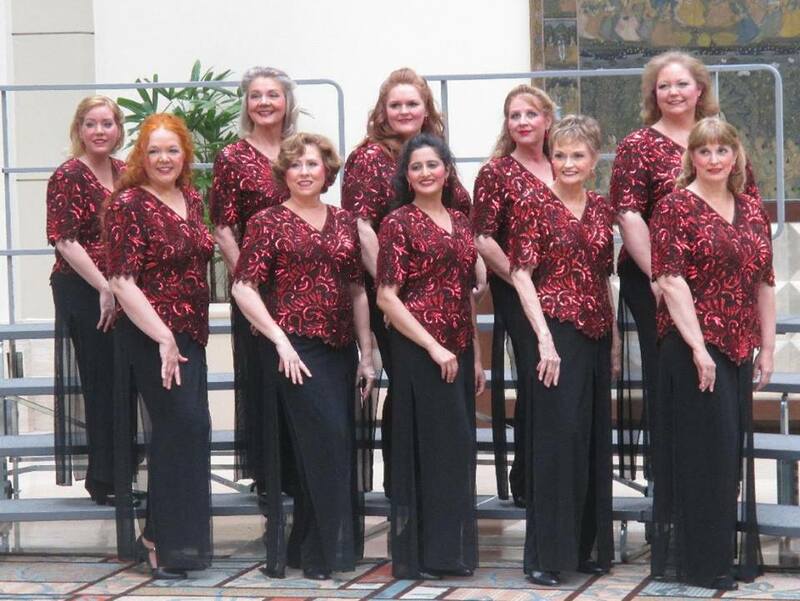 Ellen is an accomplished flutist and an Associate Pastor at Canyon Creek Presbyterian, Matthew is a professional accompanist. Directed by Richardson Heights' Sandy Hanne (backup singer for Andrea Bocelli's Concert here in Dallas) since 2001, the TechTones Holiday Choir of Texas Instruments present an enjoyable evening of holiday music, complete with flute, sax and vocal soloists, hand percussion section, piano accompaniment as well as a cappella numbers, and a carol singalong. 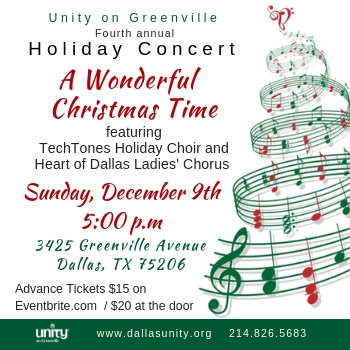 Get into the holiday spirit enjoying a variety of rich and beautiful arrangements, carol singalong, and talented soloists and instrumentalists, in the warm and beautifully decorated sanctuary of Unity on Greenville. We hope for an appearance by Santa Claus! At Intermission light refreshments and a Christmas bazaar with original art and international merchandise. Advance Tickets $15 at Eventbrite.com by clicking here. $20 at the door. No one turned away.